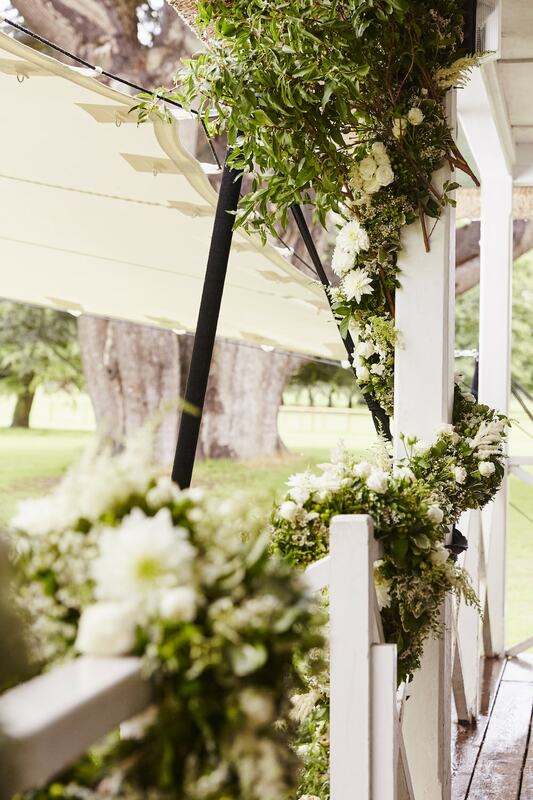 Using a palette of ethereal whites, we created the most beautiful country inspired floral designs for a rustic outdoor ceremony at the thatched cricket pavilion on the Goodwood Estate. 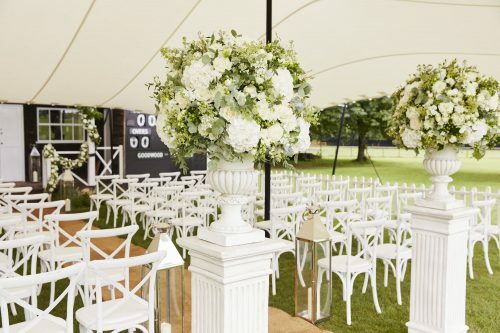 Standing amidst picturesque parkland, bountiful white stone urns marked the start of the aisle, each filled with a textured design of exquisite white & green summer flowers. The ceremony area itself was then adorned with long garlands crafted from mixed English foliages & delicate white flowers, each draped around the pavilion to create a sense of effortless romance. 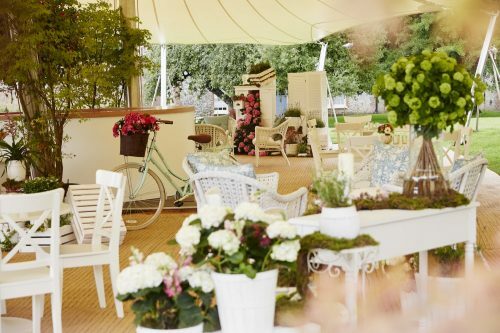 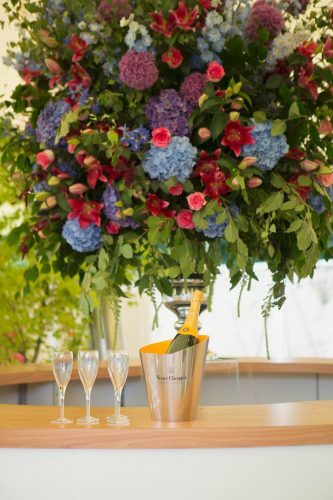 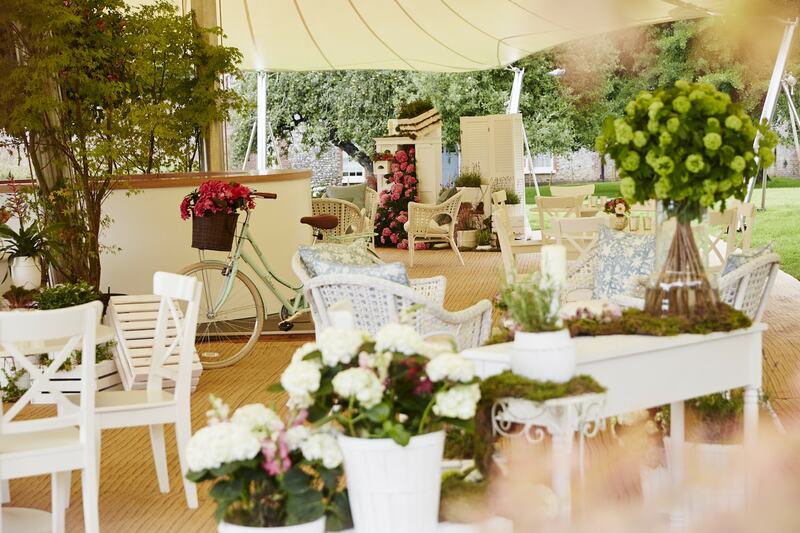 For the al fresco wedding reception on the secluded Cedar Lawn at Goodwood, our client wanted to create something more vibrant, so country brights were infused throughout the marquee to create the perfect country canape party. 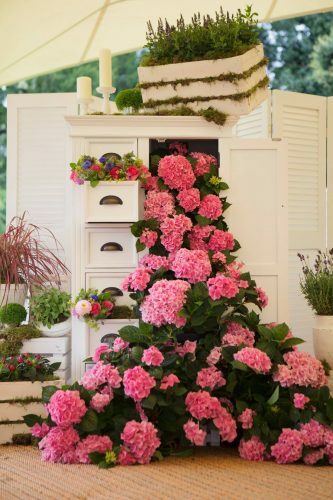 Creating a more intimate environment, detailed theatrical tableaus crafted around rustic white furniture and vintage props featured flowers bursting from drawers, lavish cascades of summer hydrangea and hundreds of fragrant herb plants. These offered guests the perfect photographic opportunity!